Adventure with Atlas Obscura on a unique tour that blends Soviet history with contemporary politics, breathtaking Orthodox monasteries with memorials to tragedy. We'll have a whole team of experienced guides at our disposal as we delve into one of Europe’s most fascinating—and drastically underrated—capitals. Along the way, we’ll also find plenty of time to enjoy fantastic food and drink, good company, mischief, and mystery. Our seven days and six nights in Ukraine will be breathtaking, surprising, and occasionally challenging… but always memorable. This trip is limited to a small group of 14 explorers. Hands-on History: We’ll visit everything from breathtaking UNESCO sites to hidden passages beneath the streets of the Ukrainian capital as we dive headfirst into centuries of Ukrainian history. Post-Nuclear Wastelands: Accompanied by expert guides, we will (carefully!) 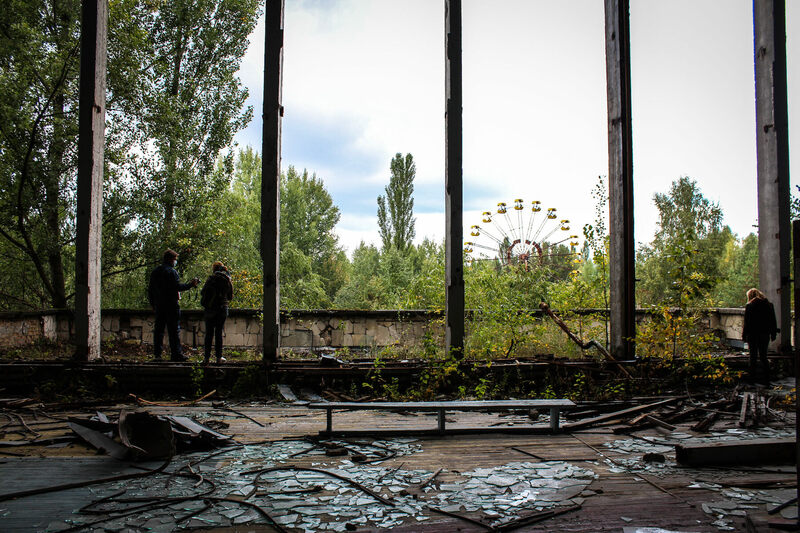 explore the Chernobyl Exclusion Zone and witness the incredible devastation left behind in the wake of the world’s most disastrous nuclear accident. Soviet Legacy: The USSR left a lasting mark on Ukraine. We'll visit towering monuments raised in tribute to Moscow and see examples of classic Soviet public art and architecture, as well as monuments that stand in defiance of Soviet ideology. 21st-Century Kyiv: Even now, Ukraine is making new history, and the country’s war for true independence is far from over. The 2014 Ukrainian Revolution saw Kyiv reborn, and we’ll meet the people who risked everything for their freedom; we’ll eat with them, drink with them, and hear their stories. The Real Ukraine: Kyiv is complex, and it rewards a thorough investigation. We want to show you more than just the famous sites (and the infamous nearby Chernobyl zone). On this tour you’ll experience the good, the bad, and everything in between, getting to know the people, their traditions, and the unique national identity of Ukraine. Darmon Richter is a British travel writer and Ph.D. researcher, with a particular interest in the ideological architecture of Eastern Europe. He writes The Bohemian Blog and has contributed to Atlas Obscura since 2013. In addition to Ukraine, he has led Atlas Obscura trips to Bulgaria and the Balkans. A $500 deposit is required to secure your spot. This deposit is nonrefundable after three days. We have a limited capacity, and we expect the trip to fill very quickly. The trip will cost $2,850 (the $500 deposit plus $2,350 final payment) and will cover all fixed costs including accommodations, daily breakfast and dinner, and all the activities listed below. Arrive in Kyiv and meet your group of travel companions. Check in to your accommodation at the delightfully brutalist Hotel Salute, conveniently located just down the road from the deepest metro station in the world. We'll settle in with dinner and drinks at a traditional restaurant nearby, and get to know the people we’ll spend the next week exploring with. 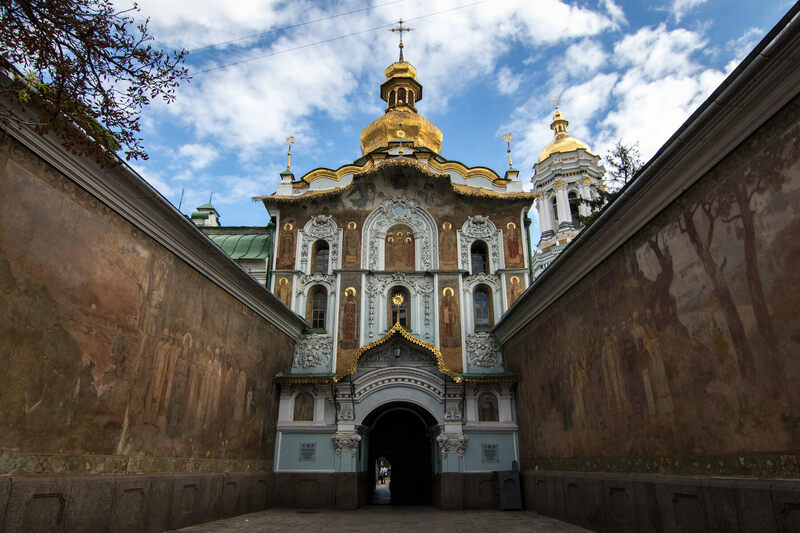 We'll learn about the history of Kyiv on a guided walk through some of the most iconic landmarks in the Upper Town district, including the Saint Sophia Cathedral, the Golden Gate, and the wonderfully bizarre Landscape Alley. 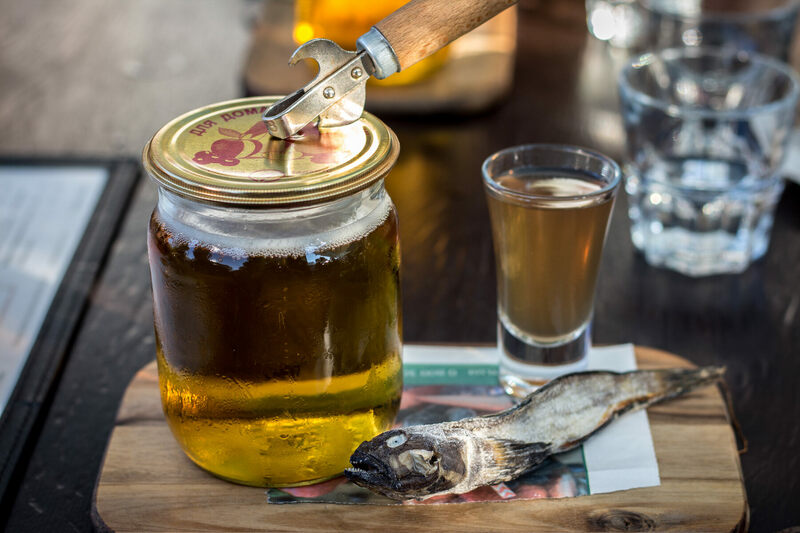 After, we'll enjoy a lunch full of local treats at a themed restaurant on Andriyivskyy Descent. 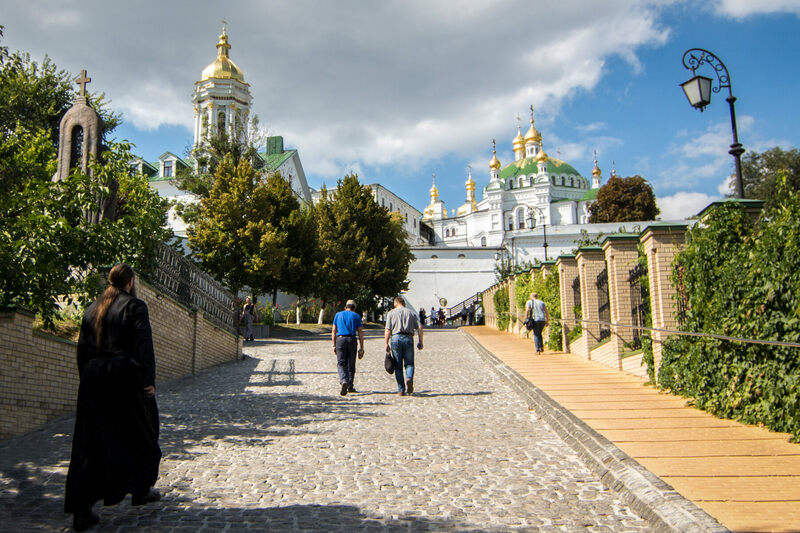 Take in the magnificent Lavra Monastery complex in the afternoon—one of Ukraine’s most important Orthodox sites—before exploring the system of catacombs beneath the church. 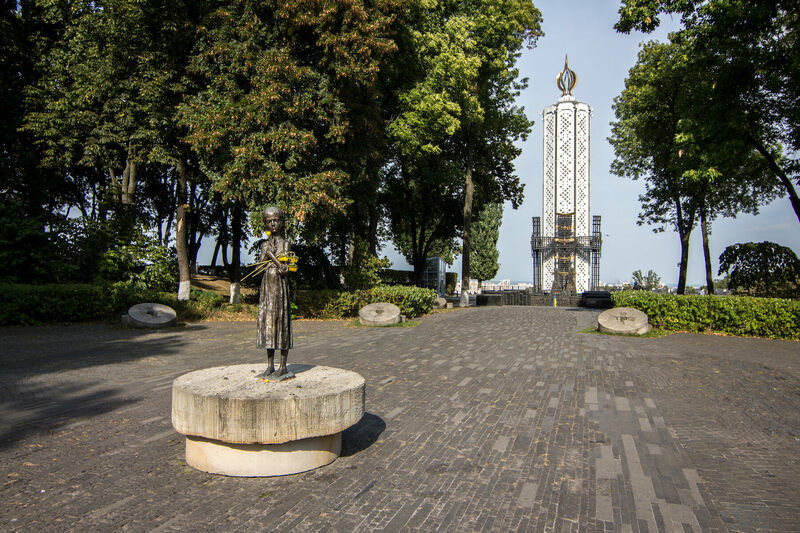 We'll visit the Holodomor Monument and Museum to learn about one of the most difficult periods in Ukrainian history: the Famine-Genocide of the 1930s. Finally, we’ll end the day with a banquet at a rustic village-style restaurant situated in an ethnographic complex in a Kyiv suburb. Today we'll learn about more recent events in Ukraine’s history, kicking off with a visit to Mezhyhyria, the private residence of exiled former president Viktor Yanukovych. Marvel at the disgraced leader’s display of wealth as we tour his estate, his classic car collection, and his lavishly decorated home. After lunch back in the capital, we'll head over to the nearby Motherland Monument to experience the sheer awe of this towering Soviet symbol. We’ll spend the rest of the afternoon in a subterranean space beneath the monument, which now houses Kyiv’s Museum of the Great Patriotic War. At the end of this long and thought-provoking day, we’ll finish with a sumptuous evening meal, settling in at a popular Georgian restaurant in Kyiv to eat, drink, and talk about all we’ve seen. We'll begin the day with a visit to Kyiv’s Chernobyl Museum. 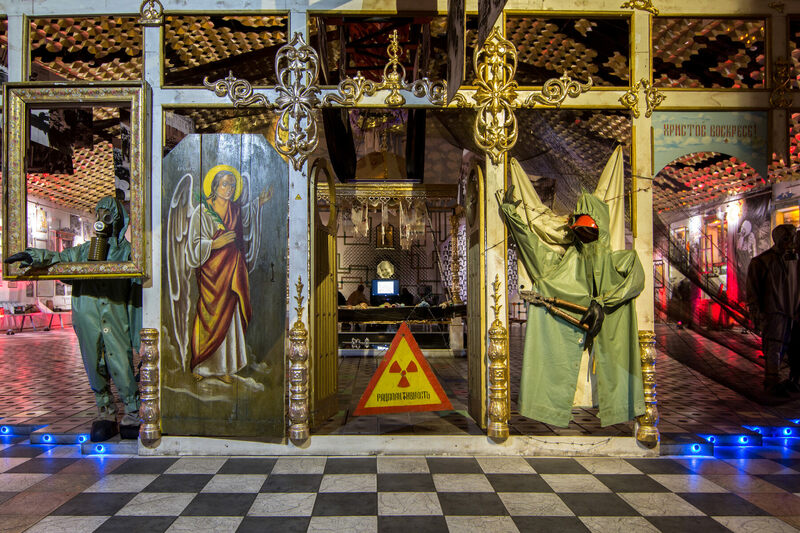 Focusing on the human stories connected to the catastrophe, this curious and colorful museum makes the perfect primer for your imminent trip into the Exclusion Zone itself. After lunch, we'll take a tour through Maidan Nezalezhnosti (Independence Square) as we learn about the 2014 Ukrainian Revolution. We’ll visit the places where it happened, guided by a local expert who experienced the events firsthand. Next you’ll have a choice: You can either head underground for a guided "urban exploration" tour, navigating through storm drains and tunnels beneath the Ukrainian capital; or if you prefer, you can stay topside for a tour of Kyiv’s eye-catching street art highlights. We'll have an early dinner tonight, in a Ukrainian restaurant close to our hotel—you’ll want to get a good night’s sleep afterwards, and save your energy for what’s to come. Leaving early from our hotel, we’ll travel by private bus to the Chernobyl Exclusion Zone. We'll meet our Chernobyl guide, while a documentary film playing on the bus will bring us up to speed on the accident, its causes, and its many repercussions. On our first day in Chernobyl we’ll visit the reactors themselves. We’ll see ground zero of the accident, admiring the new containment structure installed in 2016, as well as exploring some of the other facilities around the nuclear power plant. Take lunch in the Chernobyl workers’ canteen, surrounded by scientists and engineers currently stationed at the plant. After a long day of exploring, dinner will be served at a restaurant in Chernobyl town. Our accommodation for the night is at a hotel nearby, located inside the Chernobyl Exclusion Zone. At the time of the Chernobyl accident, the workers’ city Pripyat had a population of 49,000 people. It was evacuated soon after the event, and today it survives as one of the world’s most famous ghost towns. Today, we’ll get to know this empty city intimately. Walk the desolate streets of Pripyat, and visit schools, hospitals, and theaters. We'll see all of Pripyat’s main landmarks, including the fairground, swimming pools, and also some fabulous street murals. 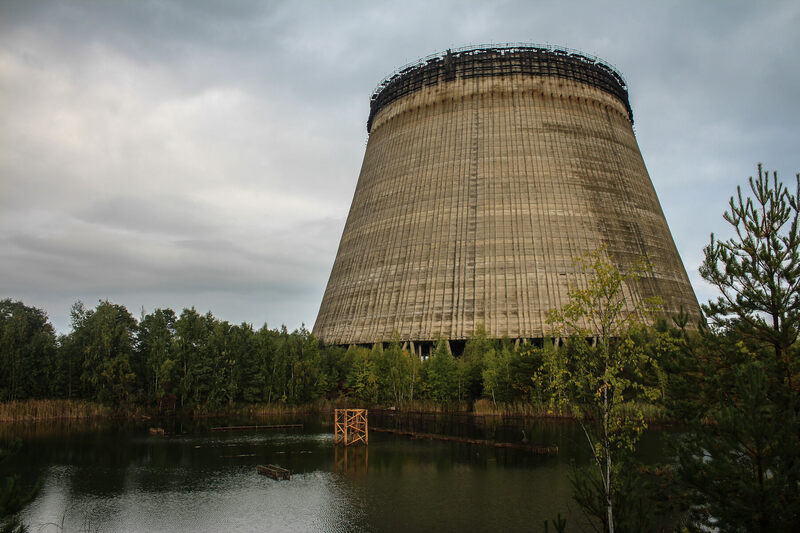 After lunch back at the Chernobyl canteen, we'll get to visit one of the Exclusion Zone’s best-kept secrets: the DUGA radar installation, or "Russian Woodpecker," that rises to a height of 150 meters at the heart of an abandoned Soviet military base. Late in the day we'll return to the capital for one last night at our Kyiv hotel. After one final group breakfast, we'll head to the airport for our individual flights home, say farewell (and see you soon) to new friends, and bid Ukraine adieu! If you choose to extend your time in Ukraine, your guides will be happy to offer additional tips and recommendations. Breakfast daily (either in your hotel, or at recommended traditional breakfast spots). A full meal every evening of the tour. Two experienced Western tour guides to accompany you throughout the trip, in addition to four local Ukrainian guides each stepping in to tell you about their specialist subjects. A great group of fellow Atlas Obscura fans, excited to explore all that Ukraine has to offer! Itineraries and pricing are subject to change. This particular tour has been designed with specific activities and events in mind, whose schedules and availabilities may change in coming months. Though unlikely, fluctuating radiation levels may potentially prevent us from reaching some of the more restricted locations listed. If any activity or attraction that is advertised is missed or not available, then we will always replace it with another activity or location of significant interest and value. You will be charged a $500 deposit to hold your space. This deposit is nonrefundable after three days. The final payment of $2,350 will be due by June 11, 2019. All reservations will be final after this date and subject to our cancellation policy. By submitting your deposit, you agree to the Terms & Conditions. For travelers wishing to have single accommodations during the trip, an additional $450 will be included in the final payment. "An epic adventure of a lifetime." "This trip is a high energy, highly interactive, highly personal and exciting trip." "Chernobyl was incredible! As were the history of Kyiv walking tour and the Maidan revolution tour — both have led to a need for further research." "This is no arm's length bus tour and it's really not suitable for tepid or wary tourists. Best to check your expectations, bring your sense of adventure, go with the flow, and commit!" "An amazing and unusual variety of great experiences with adventurous co-travellers who made it all extra-special. Great food too! Lots of history that I knew very little about; an opportunity to be exposed to the culture and people of Ukraine in an up-close and personal way." Transportation and flights to and from Kyiv, Ukraine.